We are running a Click & Collect service from the two sites above. When finalising your order in the shipping section choose the site you want to collect your goods from. You will then be notified by e-mail when your goods are ready to collect. Our greatest passion is espresso coffee. We have been roasting and blending it for over 60 Years. Our finest large leaf teas and infusions are packed in biodegradable pyramid tea bags. Currently we have a range of 30 different varieties. We have been sourcing the finest quality leaf teas from around the world since 1936. We have been sourcing and blending teas and roasting and blending coffees for almost 80 years now. At Drury Tea & Coffee, We think we have learned quite a lot along the way. We are proud of the fact that we supply tea and coffee to some of the UK's finest restaurants. Between them our customers hold 30 Michelin stars. 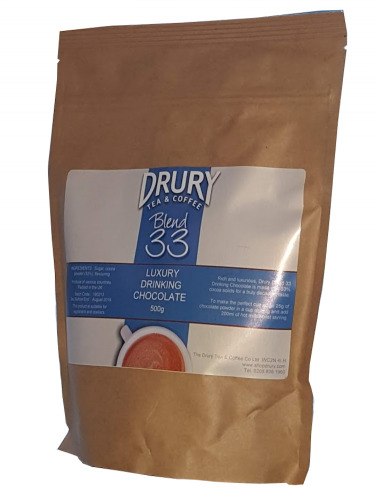 That is the standard of product quality you enjoy when you purchase Drury Tea & Coffee products. Certainly our experience of tea & coffee in the UK has taught us the type of products our customers prefer, but paramount is our appreciation of the sort of personal service they like – which as a family company are well placed to deliver. Our full range of of tea & coffee products can be found on these pages for you to purchase mail order, so please take your time to browse through our many tea and coffee blends and originals, all of which have been developed by our skilled tea tasters and master coffee roaster. If you prefer face-to-face service, why not visit our retail shop conveniently located in London's Covent Garden area which sells over 100 blends of tea, and over 50 blends and original coffees. To complement our extensive tea and coffee portfolio, we have a wide choice of ancillary products and beverage equipment, selected as the ideal partners for our teas and coffees. All of this is available straight to your door. 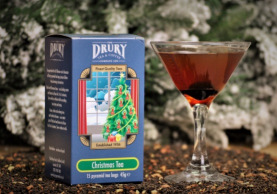 Click here to see more about the history of Drury Tea & Coffee Company. Just enjoying a delightful pot of jasmine tea. Great coffee as always, love Drury coffee. My local coffee shop at work (The Sawmill (E15) sells your coffee and I love it. Great coffee and great service - thank you. Wonderful coffee - freshly ground in our machine for every cup. Wonderful company to deal with.